College athletes face unique challenges, a significant amount of pressure and great influence among their teams, their peers and the culture. Despite this, they are among the most underserved students on the college campus by Catholics. Varsity Catholic works to serve college athletes who are searching for Christ. The goal is to help them realize that their deepest identity is in Christ and the God who created them. FOCUS' Varsity Catholic missionaries mentor athletes within their demanding schedules, teaching them to glorify God in their sport and in their daily lives. Through genuine friendship, prayer and sharing God’s message of hope and mercy, Varsity Catholic missionaries aim to raise up disciples of Jesus who are equipped to make disciples of others. Check out these stories from various student-athletes. For athletes, especially college athletes, the pursuit of excellence in all areas — in sports, academics, relationships and personal inner life — is essential to become fully who they are meant to be. 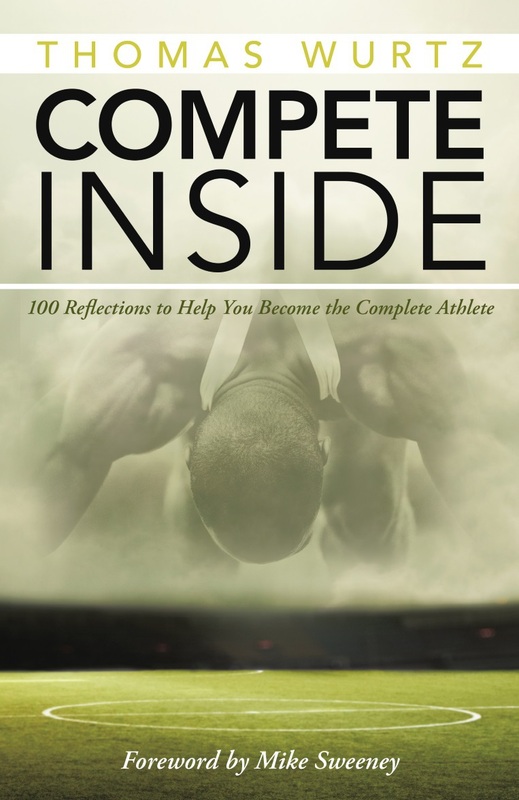 Compete Inside by Thomas Wurtz offers athletes reflections, relevant Scripture passages and piercing questions to help them develop their faith and integrate it into their athletic life. "These reflections inspire the athlete to put first what should be first: our faith and trust in Christ. Awesome!" "As athletes, we allow ourselves to be vulnerable. We put our performance out there for all the world to evaluate. We have high highs and low lows. Because of this, sports are more than physical competition or mental challenges. It becomes a spiritual journey. We all know the importance of focus in athletes. This book will help keep you focused on the most important thing, and assist you in leaving a meaningful legacy that lasts far beyond your playing days." "This book is an excellent resource for all athletes striving to excel in their sport and live a life for Christ! It is highly relatable to the highs and lows that athletes face and speaks the truth of God's love and mercy." "This book will serve as a road map to help us give God back the glory—not to strive to have him on our team, but to one day cross home plate with the winning run and be on his team. In society, sometimes we glorify athletes more than a man that died on a cross. It can create an EGO (Edging God Out). These great reflections help us bring God back into the mix." Join us in serving students on campus. Connect with us if you’re heading into college sports! The Varsity Catholic app was designed to be relevant to college athletes and to their busy life in the athletic world.